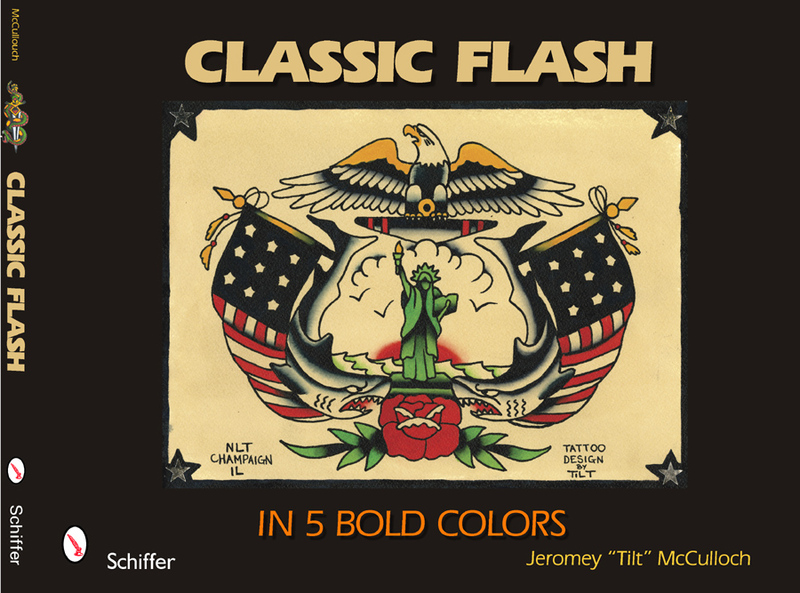 We just got a shipment of this new tattoo design book, "Classic Flash (in five bold colors)." This is Schiffer's best flash book they have produced and at $25.00 it's a great deal. Full color in 5 bold colors by Jeromey "Tilt" McCulloch.